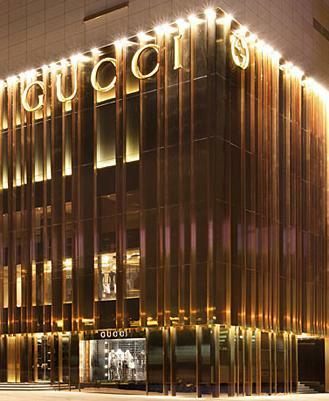 In the Name of Gucci is a heartfelt recounting of several lives and one iconic business through the lens of Patricia Gucci, the daughter of the family-firm Gucci's powerhouse behind the company's growth into an international luxury goods firm, Aldo Gucci. There are some omissions to spare feelings, and to avoid lawsuits, no doubt, and there is spin on things that could be viewed from a very different, unsympathetic perspective. If you set those things aside, the book is highly readable, often fascinating, fluidly written, and gives the reader a close-up view of people who filled the newspapers for decades. That many members of the Gucci clan would not be out of place in a recent book about psychopaths in boardrooms, makes the book compelling reading. The spinning in the book generally relates to 53 year-old Aldo Gucci's sexual harassment of a 20 year-old employee. What makes the egotistical assault by the old-man-with-an-infatuation on the young woman most damning is that the young woman was very immature, and emotionally and psychologically weak and vulnerable. Hounded into a relationship with a married man old enough to be her grandfather, left the fragile woman scared for life. She is the author's long-suffering mother. 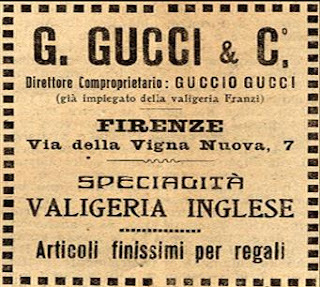 Other spinning in the book involves the disgusting wealth that went to the Gucci family from their luxury goods business, rather than to their employees or the tax authorities, to the former for their hard work and long hours and having to put up with the vicious abusive tantrums of the company's owners, and to the latter what was their due by law. The conspicuous consumption, of especially the 1980s, turned this reader's stomach. If you are someone who prefers non-fiction reading to fiction reading, like me, you'll enjoy every word in the book. Truth is stranger than fiction, and the truth of the Gucci family is especially strange. 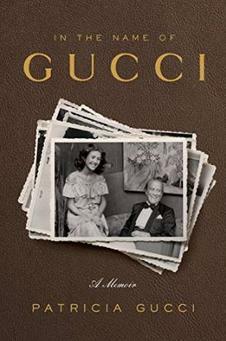 The gripping family drama—and never-before-told love story—surrounding the rise and fall of the late Aldo Gucci, the man responsible for making the legendary fashion label the powerhouse it is today, as told by his daughter. Patricia Gucci was born a secret: the lovechild whose birth could have spelled ruination for her father, Aldo Gucci. It was the early 1960s, the halcyon days for Gucci—the must-have brand of Hollywood and royalty—but also a time when having a child out of wedlock was illegal in Italy. Aldo couldn't afford a public scandal, nor could he resist his feelings for Patricia's mother, Bruna, the paramour he met when she worked in the first Gucci store in Rome. To avoid controversy, he sent Bruna to London after she became pregnant, and then discretely whisked her back to Rome with her newborn hidden from the Italian authorities, the media, and the Gucci family. In the Name of Gucci charts the untold love story of Patricia's parents, relying on the author's own memories, a collection of love letters and interviews with her mother, as well as an archive of previously unseen photos. She interweaves her parents' tempestuous narrative with that of her own relationship with her father—from an isolated little girl who lived in the shadows for the best part of a decade through her rise as Gucci's spokesperson and Aldo's youngest protégé, to the moment when Aldo's three sons were shunned after betraying him in a notorious coup and Patricia—once considered a guilty secret—was made his sole universal heir. It is an epic tale of love and loss, treason and loyalty, sweeping across Italy, England and America during the most tumultuous period of Gucci's sixty years as a family business. Please visit the author's website. Here is a direct link to the photo page at that website. Since reading In the Name of Gucci, which I thoroughly enjoyed from start to finish, this is the first backhanded review I have read. While there are clearly some omissions to spare her family's feelings and avoid lawsuits (no-one in their right might would be overtly slanderous,) to say that the author is spinning her story in an unsympathetic manner seems wholly inappropriate. In what can only be described an honest account of Gucci's sixty years as a family business (the author goes so far as to uncover the 'presumed descent' from noble origins) and heartfelt portrayal of the love story between a married Aldo Gucci and the then 18 (not 20) year-old Bruna Palombo, who went to work in the Gucci store in Rome in the 1950s. In those days, in catholic Italy, adultery was an imprisonable offence and women who were caught up in such a scandal were marginalised for life. There was a strict moral code to live by and both parties will have been conscious of the consequences they faced, hence why their courtship - evidenced by the numerous love letters - went on for nearly two years. When their affair was finally consummated and Aldo discovered Bruna was a virgin, they committed to one another for life. And so it was. To call this 'sexual harassment' is as ignorant as it is insulting. On the subject of 'disgusting wealth' and 'conspicuous consumption,' there are no yachts, planes or flashy cars. To the contrary, the author underscores the strong work ethic AG instilled in his family and the responsibility he felt toward his eponymous company. As a private family-owned business, there was no charter to distribute profit to employees. 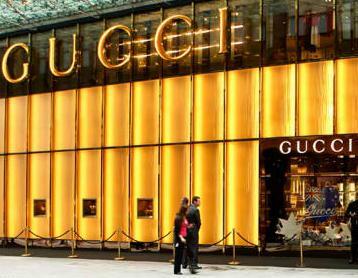 On the matter of income tax, Gucci America never once fell foul of the IRS in its 30+ years of trading; it was only when irregular inter-company transfers were uncovered that AG stepped forward as CEO to take the fall - an oversight his CFO and accountants should have forewarned against. Italophile has clearly not read the book. Yes, I read every word and found it all fascinating, well-written, and heartfelt. It is not just my view that an employer setting out to seduce his female employee is wrong and constitutes sexual harassment; it is the law's view, today, in most first-world countries. Bruna was 18 when the employment began, 19 when the seduction began, and 21 when it was consummated. 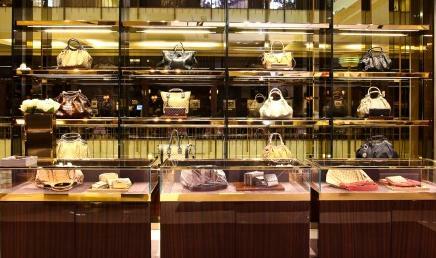 She was dependent on Aldo Gucci for employment. If she had continued to reject him, she risked losing her job. Only sleazeballs seduce their employees. And one that old is especially sleazy. I can never see their relationship as a love story in any shape or form. As her mother said, once Patricia was born, everything her mother did, all her sacrifices, it was all for her daughter. Several people tried to help Bruna separate from Aldo Gucci, to help her have life with a healthy relationship with someone close to her own age, but they were obstructed by Aldo Gucci, who swore possessively that he would never let anyone separate him from her. Bruna's mental health and physical health suffered for his macho and paternalistic obsession. The employees were not well compensated, especially considering what the company earned and the specialist skills they had. Aggressive cowboy accounting was used to avoid taxes where sales occurred, just as it is used today, and condemned today, and then. The family indulged in multiple villas, priceless art, yachts, racehorses, and much, much more, that was only lightly touched on in the book. When you know the whole story, not just the one presented in this book, the spin becomes clearer.